Basketball | Make Time For Sports. Shaquille O’Neal weighed in on the G.O.A.T debate and what heft he lent his words. The former Laker said he preferred Michael “Air” Jordan to LeBron James when asked who would win a hypothetical one-on-one match-up. His all-time favourite , however, was Dr. J aka Julius Erving. “Mike. I think you have to go with a young Jordan every time. It would be an interesting game. 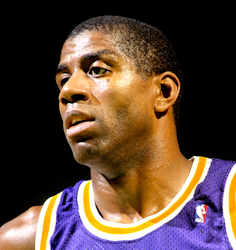 Young LeBron was more like (Lakers Hall of Famer) Magic Johnson. He was sort of like Magic with Jordan’s abilities. He liked to pass, and he liked to get it up. And things got really interesting from thereon. The big man went on to describe the comparison with a kung fu analogy. It appears that all the training Shaq underwent with Mixed Martial Arts (MMA) star Nate Diaz has taught the hoopster some respect for jiu-jitsu and it’s Eastern variants. What next? If his fellow players take up the sport, we can expect kung fu basketball pretty soon. Wouldn’t that be something? It’s official. Turbans are cool. Turbans are in. No, we’re not talking about “Turbanator” Harbhajan Singh and his much awaited return to the Indian cricket side. We’re not even considering Navjot Singh Sidhu and his witticisms in the commentary box. We’re ruminating on basketball and a call for action issued by US lawmakers to permit Sikhs to wear their article of faith on court. The clothed headgear was banned under the rule that players cannot wear equipment or objects that could injure team-mates or opponents. At the 2014 Asia Cup, Indian cagers, Amritpal Singh and Amjyot Singh, were forced to take off their turbans under the archaic law. The national side were facing Japan. Narrow headbands are permitted by FIBA but that would hardly address the Sikh issue. Sikhs are never to cut their hair since birth. Headbands would barely begin to cover their tresses. This is the second time US lawmakers have come down harshly on the basketball federation’s directive. In August 2014, senators Joseph Crowley of New York and Rep. Ami Bera of California along with 22 members of Congress sought a repeal of the discriminatory policy. This time, it’s a sum total of 39. The turbaned community from India have not been the only victims. Qatari women players have been prevented from wearing hijabs while representing their country. The Maldives women’s team forfeited their games in an under-18 tourney rather than appear without traditional head coverings. FIBA initially agreed to test out a re-framed policy for a trial period of two years. This fresh petition seeks the status of the trial. “We have seen time and again that sports have the power to unite – basketball included. The sport has gained in international stature in recent decades and is increasingly popular in countries where the use of a turban is commonplace. “Sikhs participate in a wide variety of sports around the globe, and there has not been a single instance of someone being harmed or injured by a turban. Even at the amateur and professional levels, Sikhs have played sports without a problem. The onerous practice raised fears that the game will die out in Punjab, the state from which most Indian Sikhs hail. It is alarming that while sports knows no boundaries, FIBA insists on an exclusionary policy. Basketball is a cool sport. It’s fun, it’s dynamic and even more fast-paced than soccer or hockey. The playing rules are simple to understand. All you need is a ball and a hoop. Does basketball need to cling to such a hide-bound stipulation? There is always the possibility that officials may dismiss such petitions as not really being a Western or progressive nation’s problem. Is that truly the case? Muslims, across the world—post 9/11, have taken to sporting beards to accentuate their religious beliefs. Can the sport and its officials ignore a pushback from Western and Westernised Muslim women reverting back to the hijaab attire? Not because they’re not educated or non-progressive but simply to display their faith with pride. Does the issue then not become one of their own? We can wish that the world become more progressive, more ‘modern‘, more cosmopolitan. But wishes are not horses and we need to be there for the ride. At a time, when the NBA is hell-bent on discovering new markets spelled India and China, can its parent association afford to be out of step with the times? Turbanators are probably a non-issue. Indian Sikhs represent the country proudly in different sports—headgear intact. They can always be cited as precedent enough. But the hijaab on court? That’s a finer issue where hairs will always be split and thus, perhaps, the subject of further debate. Maybe it simply boils down to is whether it’s optional or mandatory. It ought to be a personal choice. It is a personal choice. That’s empowerment, that’s choice, that’s real. There have been a couple of tall tales in the Indian media recently. Two of our very own boys have been selected to play in the National Basketball Association (NBA) league. Their names: Sim Bhullar and Satnam Singh Bhamara. One’s Canadian and the other’s from our very own Ludhiana. Both seven footers. Giants, indeed. Bhullar plays for Sacramento Kings. Sacramento? Isn’t that California’s forgotten seat of governance much like Canberra is Australia’s? Chirp ‘Dallas‘ and all I can recall is that American soap opera telecast on Star World. And a maverick? Isn’t that an unbranded calf or yearling? Or isn’t that Mel Gibson portraying the title role in ‘Maverick’? An ABCD (American-Born Confused Desi) tells me that it’s not as perplexing as the NBA draft. I’m told they have a weighted-lottery system that favors the bottomed out—quite unlike the ‘simple‘ auctions at our Modi(l) IPL. Sim signs on for a week or so and Satnam may never play. Yet, there’s a hoopla here like never before. There are whispers that it’s all a marketing gimmick to target the extremely long, extremely fat tail that is the Indian market for American basketball. Whoosh! In goes another three-pointer! It’s said the two Singh’s can do a Yao Ming for the NBA in the sub-continent. You’d imagine that two billion plus Indians and Chinese the majority of whom barely top the five-and-a-half foot mark would find it hard to identify with a trio of seven-foot-plus and 20-plus-shod behemoths who themselves belong to a minuscule minority not just in their nations but all across the globe. Sporting goods marketers expect otherwise. If the Indian cricket team had selected Baba Ramdev as the team physio, then the men in blue could have been as flexible on the field as the sadhu himself. However, his insidious influence would rub off on them and at the first signs of terror from pace bowlers, bruised batsmen would migrate to women’s cricket. 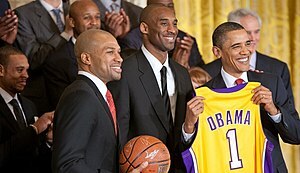 If Barack Obama were to lose the 2012 Presidential elections, he could always consider coaching the Los Angeles Lakers. “Yes, we can” would resonate with Lakers fans, too. “It’s not the economy, stupid” could do just as well.